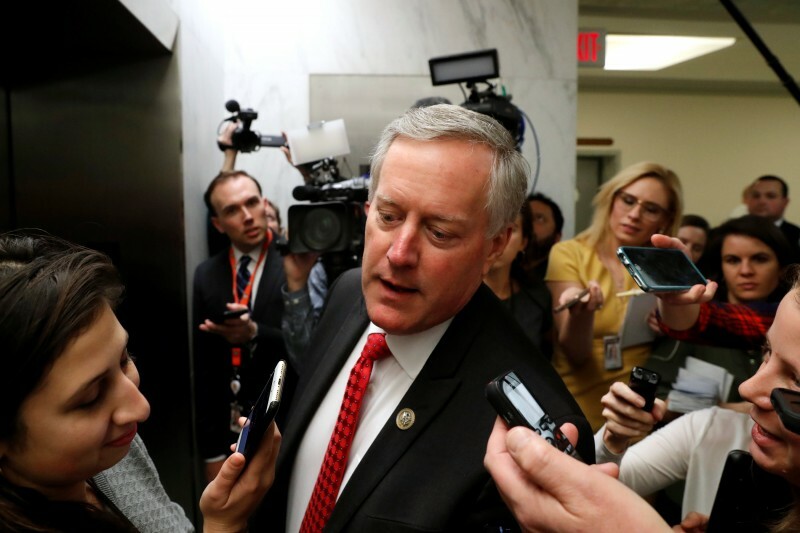 Republican lawmaker Mark Meadows said Wednesday that recent information suggests the FBI has transcripts or recordings of informants speaking with Trump campaign aide George Papadopoulos. Meadows, a close ally of President Donald Trump, called on the Justice Department to release any tapes it might have. Papadopoulos was approached by at least one FBI informant, Stefan Halper, during the 2016 campaign . North Carolina Rep. Mark Meadows said Wednesday that the FBI may have secretly recorded former Trump campaign adviser George Papadopoulos. In a post on Twitter, Meadows called on the Department of Justice to release any tapes that might exist to the American public. “Over several interviews, we’ve learned information suggesting the FBI secretly transcribed, and even taped, George Papadopoulos in 2016,” wrote Meadows, the chairman of the House Freedom Caucus and a member of a congressional task force investigating the FBI’s handling of the Trump-Russia probe. Over several interviews, we’ve learned information suggesting the FBI secretly transcribed, and even taped, George Papadopoulos in 2016. If these “tapes” do exist, the DOJ must make them available to Americans immediately. Their complete refusal to be transparent helps no one. Meadows’ comment provides more context to what other Republican lawmakers have said in recent weeks about potentially exculpatory information regarding Papadopoulos. GOP Rep. John Ratcliffe of Texas, a member of the House Committee on the Judiciary, suggested on Oct. 14 that the FBI and Justice Department had evidence “that directly refutes” the FBI’s premise of its collusion probe. Ratcliffe said the FBI failed to provide exculpatory evidence about Papadopoulos to judges on the Foreign Intelligence Surveillance Court. Ratcliffe suggested the FBI withheld information that would portray Papadopoulos in a different light. Papadopoulos has been sentenced in the special counsel’s investigation for lying to the FBI during an interview on Jan. 27, 2017. But Papadopoulos has not been accused of more serious charges of conspiring with Russians or hacking Democrats’ emails, which is one of the main conspiracy theories about potential campaign collusion. The potentially exculpatory information about Papadopoulos could revolve around his interactions with Stefan Halper, a former University of Cambridge professor who was identified in May as a longtime FBI and CIA informant. Halper made contact with Papadopoulos, Page and former Trump campaign official Sam Clovis prior to the election, The Daily Caller News Foundation first reported on March 25. Halper contacted Papadopoulos in September 2016 and offered to fly him to London under the guise of discussing a policy paper. Papadopoulos accepted the offer and met Halper in London two weeks later. Papadopoulos has told TheDCNF that Halper asked him pointed questions about Russian hacking of Democrats. When Halper asked Papadopoulos whether he or the campaign were involved in the hacks, Papadopoulos vehemently denied it. The FBI obtained its first warrant to spy on Page more than a month later, on Oct. 21, 2016. The FBI had at least one transcript that “called into question the Trump campaign’s — and specifically Papadopoulos’s — alleged complicity with Russia,” The Hill’s John Solomon reported on Oct. 23. TheDCNF has not confirmed whether the FBI has recordings or transcripts of Papadopoulos’ encounters with Halper. But Papadopoulos has told TheDCNF that he believes that Halper was recording him with his cell phone during their visit. Halper has not responded to repeated requests for comment.